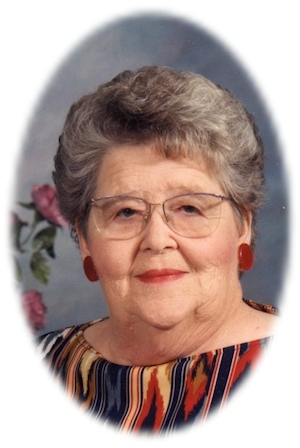 Obituary – Schultz, Joan Marie (Schieffer) « Perry High School Alumni Association, Inc.
Joan M. Schultz, 81, of Billings, Oklahoma, was the daughter of Frank Joseph and Rose (Ableidinger) Schieffer. She was born on October 2, 1930 in Perry, Oklahoma and died Friday, July 20, 2012 at Perry Memorial Hospital in Perry, Oklahoma. She married her best friend, Irvin Schultz on September 6, 1948. Irvin preceded her in death on April 17, 1992. Joan enjoyed reading, sewing, gardening, bird watching, cooking but more than anything else she enjoyed spending time with her grandchildren and great grandchildren. When someone came to visit you would always see a dog sitting in a chair next to her. She was a member of the St. Rose of Lima Catholic Church in Perry, Oklahoma. Funeral Mass will be 2:00 p.m., Wednesday, July 25, 2012 at St. Rose of Lima Catholic Church in Perry, Oklahoma. Interment will be at St. Rose of Lima Catholic Cemetery in Perry, Oklahoma. Father Dan Letourneau will officiate. Services are under the direction of Dugger Funeral Home in Billings, Oklahoma. Memorials may be made to St. Rose of Lima Catholic Church in care of Dugger Funeral Home, P.O. Box 41, Billings, Oklahoma 74630. 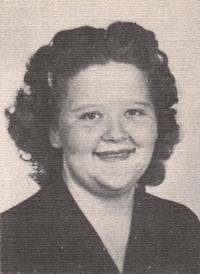 Joan is survived by her six daughters, Zelda Silvey of Billings, Oklahoma and Zonell Conant and her husband, Donnie of Edmond, Oklahoma, Margaret Schiff and husband, Howard, Mary Kelley and her husband, Tom all of Oklahoma City, Oklahoma, Pat Gilbert and her husband, Wayne of Elizabethton, Tennessee, Theresa Casey and her husband, Les Lehew of Burton, Texas; two sisters, Philomene Saha of Houston, Texas and Catherine Johnson of Perry, Oklahoma; twenty-one grandchildren and thirty great-grandchildren. She was preceded in death by her husband, Irvin Schultz. ; her parents, Frank and Rose Schieffer; two infant daughters, Zelma Kay Schultz and Cecilia Rose Schultz; one infant son, Irvin Frank Schultz; one sister, Pat Casey.